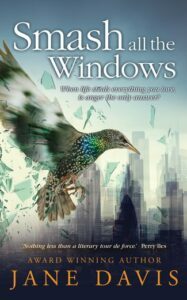 Part two of my interview with Jane Davis, the winner of the Daily Mail First Novel Award, covers her relationship with the book industry, how and why she writes, and her more recent work. 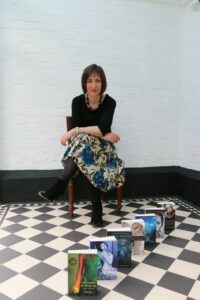 Jane, who has been acclaimed by The Bookseller, is the author of eight novels. Her 2015 novel, An Unknown Woman, was Writing Magazine’s Self-published Book of the Year 2016 and has been shortlisted for two further awards. Leslie: Why did you move back to self-publishing after being adopted by a significant publishing house and sought after by agents? What conclusions do you draw from your experiences? Jane: My first novel didn’t make it as far as being a book, but it earned me the services of a literary agent and the words, ‘You’re a writer’, which sounded far more glamorous than ‘You’re an insurance broker’. I’d call that four years well-spent. There was a draft contract from a small publisher, but the small publisher was eaten up by a big publisher before the ink had dried. In retrospect, I’m rather glad that it was consigned to the bottom drawer because, like most first novels, it contained semi-autobiographic elements that would have come back to bite me. My first novel Half-Truths and White Lies won the Daily Mail First Novel Award and was published by Transworld. Green in the extreme, I wasn’t aware that the Black Swan imprint was their women’s fiction label, until they turned down A Funeral for an Owl because it wasn’t women’s fiction. It was clear that they’d seen my writing taking a very different direction to the one I intended. It was also about this time that I parted company with my agent and set about looking for another, thinking that the competition win would open doors. I was wrong. Rejection letters flattered. Agents were sure I would be snapped up, but not by them. I spent thousands of pounds attending writing conferences, to be told that no self-respecting writer would consider self-publishing. Time and time again, I was assured that there was nothing wrong with my writing: it was just a matter of time. By November 2012 I was an ex-award winner touting three books around the market. Not a position you want to be in! Fully aware that my novels didn’t fit neatly into a genre, I still felt that they deserved to be read. I was at a low when I decided to explore self-publishing for myself. And guess what? I’d been lied to. Yes, there were newcomers who’d struck gold with their first novels but at least half of the speakers had previously been under contract. There were also a number of ghost writers who wrote for famous authors but who couldn’t get published under their own names. I self-published two novels as eBooks within a month. With no marketing budget to speak of, this meant starting again from scratch, building from a small readership of family and friends, working on my on-line profile, building on my brand. I’m unapologetic. I present a quality product and let it speak for itself. In 2016, the cover design for An Unknown Woman won two separate awards, then Writing Magazine gave it their prestigious Self-Published Book of the Year Award. The judges said that my novel would sit happily on any of the Big 5’s lists, that the writing was exemplary and that my production standards were outstanding. This was an endorsement for the whole of the team. Self-publishing is the mechanism that allowed me to be more ambitious in terms of where I want to take my fiction. Instead of being dictated to, I’m free to write about the subjects I want to write about. Remove the pressure of trying of tying to mould something to fit the current publishing market – which agents admit is risk-adverse and overly-commercialised – and it grows wings. Ironically the knowledge I’ve acquired through self-publishing is the knowledge that I needed to deal with traditional publishers and to understand their processes. Leslie: Have the difficulties and exclusions you’ve faced spurred you on? Jane: What spurs me on are my readers. One pressed through a crowded rush-hour train to ask for my autograph – an example of the importance of having an on-line presence. To have the respect of peers and colleagues is one thing, but to have an American reviewer write that my photography-themed novel I Stopped Time encapsulated everything she felt about her art was very special. Leslie: What are the daily routines that help you to write? Do you plan your work in advance or discover it through the writing process? Are you guided by ideas and theory or intuition when you write? Jane: I don’t have a routine as such. I do whatever is the most urgent on any given day, and that isn’t always the writing. Self-publishing is a business like any other. Whatever else happens, my day starts and ends with reading. It’s part of my job, as far as I’m concerned. I read critically, trying to work out what works and what doesn’t. And, of course, if you don’t like something and it’s been traditionally published, you have to ask yourself what did the publisher see in this that I’m missing? But if we’re talking about my process for writing novels, no, I don’t plan. I start with a single idea and take it to its natural conclusion. Most of my books have changed substantially during the writing. With my historical novel, I Stopped Time, I introduced a present-day strand when I realised that I’d be unable to say everything that I wanted to in the voice of my main character, model turned photographer, Lottie Pye. And so, the revised premise became they story of how the reclusive Sir James Hastings discovers the mother who abandoned him after she leaves him her photographic work in her will. With A Funeral for an Owl, it was while I was ironing out issues highlighted by a structural editor that I unearthed another major flaw: the behaviour of two of my main characters, both of them teachers, would have been illegal under current Child Protection laws. Then it struck me that there was a huge opportunity to be had. I could change the focus of the novel: what kind of boy would it take to make two teachers put their jobs on the line? And this gave the plot a new momentum. My process is slow and organic. Pivotal moments may not surface until I’m several edits in, or until an editor comments, ‘I see the point that you were trying to make.’ The final edit may give the impression that the writing arrives fully formed, but what the version the reader sees is an illusion. Leslie: Can you tell us about your new novel Smash all The Windows, please? Jane: I was appalled by the reaction of the press to the outcome of the second Hillsborough inquest. For those who don’t know about the Hillsborough disaster, it was a crush in the crowd at a football stadium, which killed 96 fans. The game was televised, so the disaster played out in real-time in living rooms across the country. There was live commentary as events unfolded. That commentary reported that football fans were to blame. It was twenty-seven years before the second inquest set the record straight. There had been an immediate cover-up by the police. Sports commentators had simply repeated the lie they were fed and everything done in the aftermath perpetuated the lie. Twenty-seven years passed before, finally, it was ruled that the crowd was not to blame. Microphones were thrust at the families as they emerged from the courtroom. Now it was “all over” they could finally get on with their lives. What lives? Were they talking about the lives that the families enjoyed before the tragedy? Because they clearly no longer existed. And neither did the lives that they might have expected. So my starting point was anger. That said, I realised very quickly that I didn’t want to write a book about blame, not when so many individuals behave heroically under the most terrible of circumstances. My fictional disaster has a number of things in common with Hillsborough. Because it happened before the explosion of the internet, people’s voices weren’t heard as they would be today. Photographs taken on mobile phones weren’t posted on-line. There was someone in a position of seniority who was brand new to the job. There was institutionalised complacency. (They say that the most dangerous sentence in the English language is ‘But we’ve always done things like that’.) Facilities dated back to a bygone era when the relationship between pedestrian traffic-flow and human space requirements wasn’t understood. There was a lack of preparedness for emergencies involving multiple casualties. Family members searching for their loved ones were dealt with insensitively (something also seen in the aftermath of the Lockerbie/PanAm and The Marchioness disasters). I hope that I’ve managed to paint a dignified and sensitive portrait of the bereaved. I wanted to show the things that they keep hidden while, at the same time, showing their spirit and determination. Jane: Fiction provides the unique opportunity to explore one or two points of view. It can never provide the whole answer, but it does force both writer and reader to walk in another person’s shoes. And, in many ways, it’s the exploration and not the answer that’s important. The idea that there is a single truth is flawed. I have a sister who’s less than a year older than me but our memories of the same events differ substantially. My truth isn’t the same as hers, even though we grew up in the same house, sharing the same upbringing. As my body of work grows, I’m beginning to see it as my legacy. Because I don’t have children, my books are the mark I will leave on the world. So another reason for writing – one that I didn’t think about in my mid-thirties when I started to write – is to create a legacy I can be proud of. Next week I interview actor and theatre activist Nadia Nadif about appearing in THE SCAR TEST, a challenging exposé of the UK’s inhumane treatment of refugees in detention. I’m delighted it encouraged you Adele. We don’t have to write to win the Booker but for ourselves, our friends, a personal audience or just for likeminded people. Please press on! Another inspiring interview Leslie, well done! 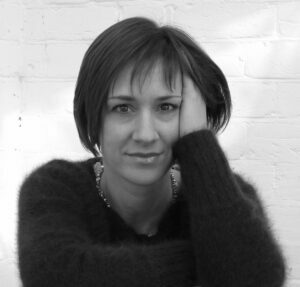 As a blogger who’d like to write fiction, self published, this masterclass from Jane Davis, in response to your astute questions, is both educational and enlightening. Thanks for the offer Leslie, that’s very kind of you, but I haven’t completed anything yet, when I do, then I will! Thanks for sharing the second part of this interview. The issue of genre and not writing to the market speak to me in particular. I’ll check Jane’s books. Good luck with her writing and thanks, Leslie! I’m now going to read all of these books. Fascinating author and stories, well written article and thoughtfully composed questions.